Did I mention how much I loooove my chickens? One of my favorite peaceful moments in life is gardening in the late afternoon with my ladies clucking around me and my kids giggling as they catch them for a quick nuzzle. And then, of course, there are the beautiful eggs. I guess it’s the salvage-geek in me that thinks it a crying shame every time I crack open one of their lovely light green or chocolate brown shells and then throw them in the trash. 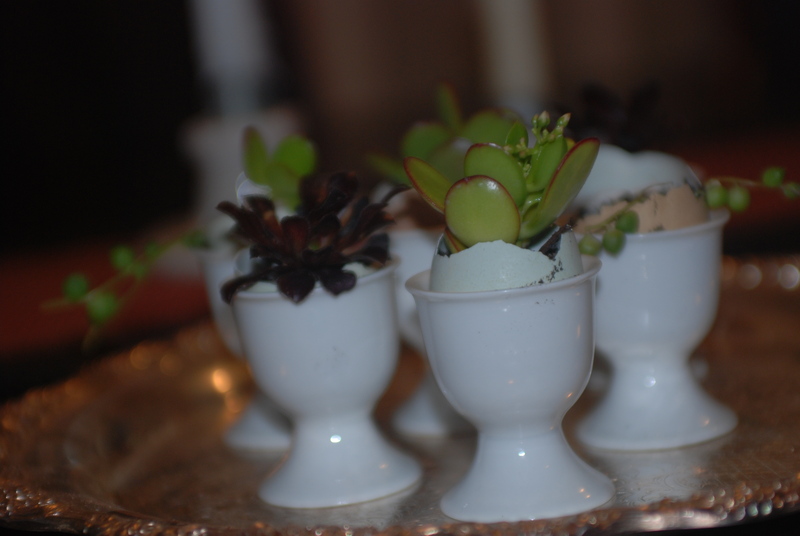 Obviously the eggs are delicious, but i really wanted to figure out something to do with their purdy lil’ shells. 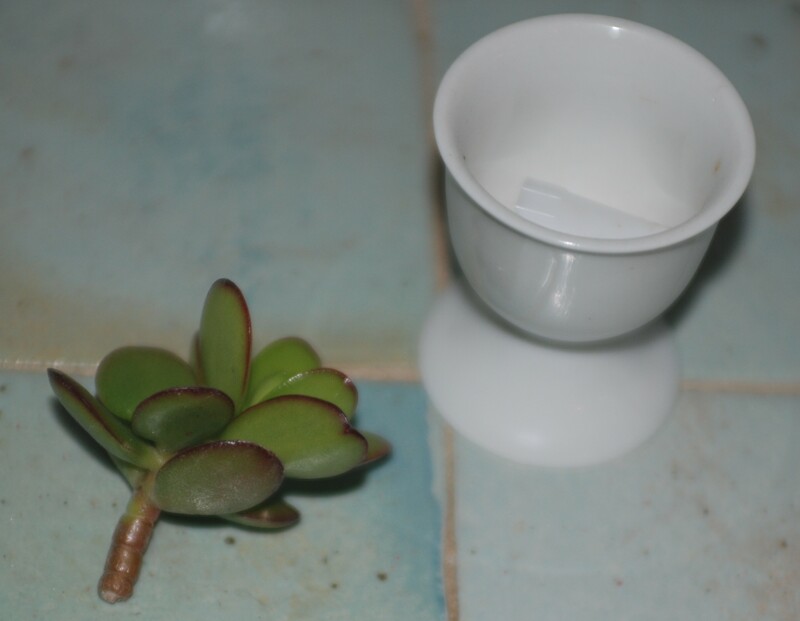 So I ran out to the garden for some succulent cuttings and then got out my collection of egg cups. 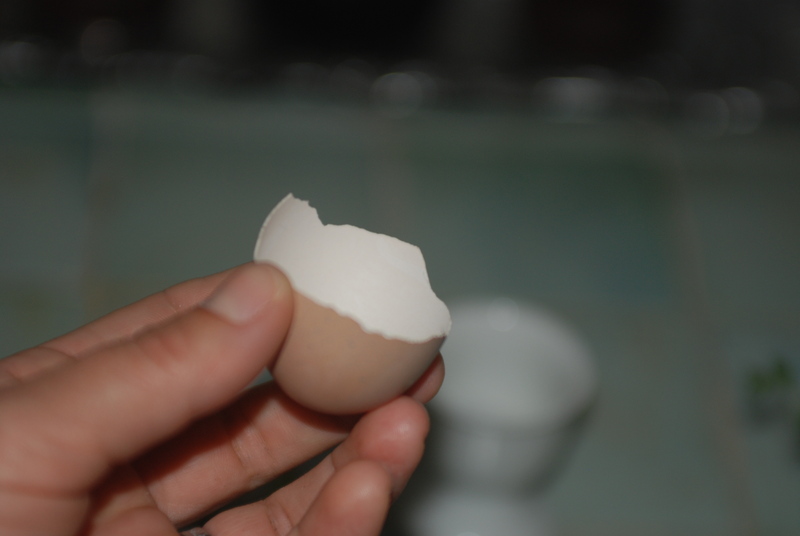 The next step was to wash out the shells. If you are a germaphobe obsessed with bleach, then go for it. I, personally, am happy with hot water and soap. They washed up beautifully and I was ready to start planting! 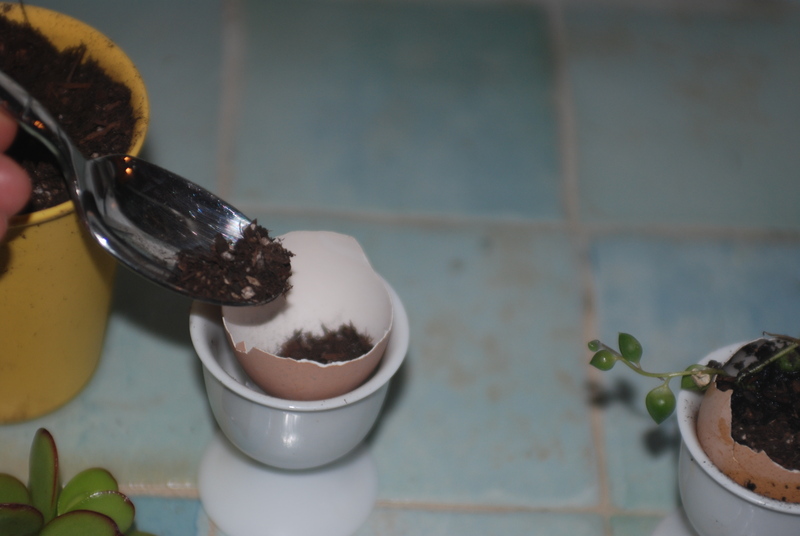 A small spoon came in real handy when trying to fill these dainty shells with potting soil. 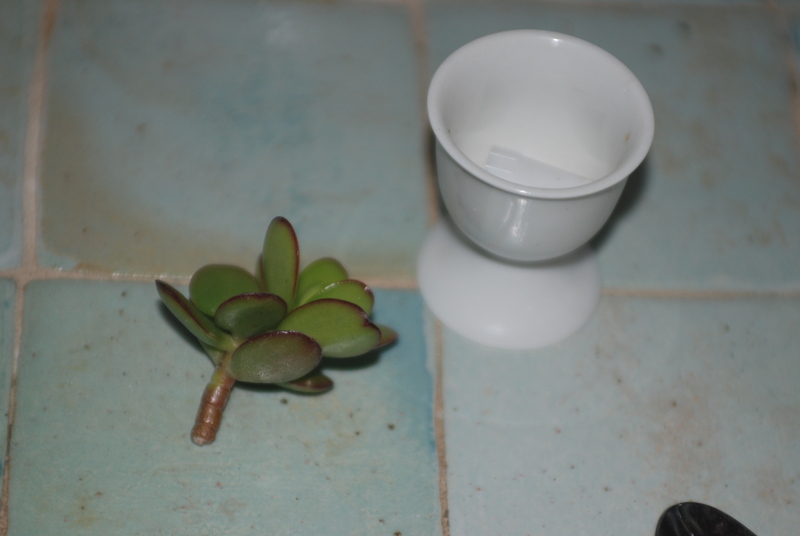 Just plunk your cutting into the soil and water…FUN! 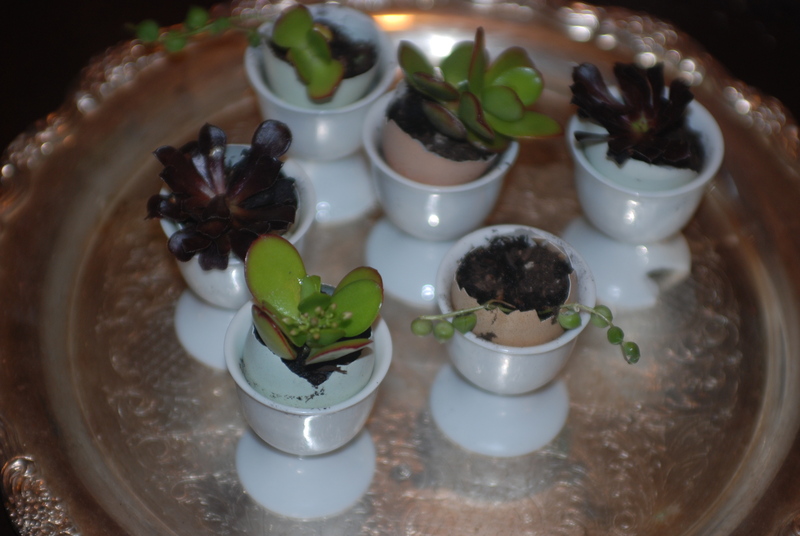 These little pretties are so cute and dainty…they are destined for my kitchen window sill. 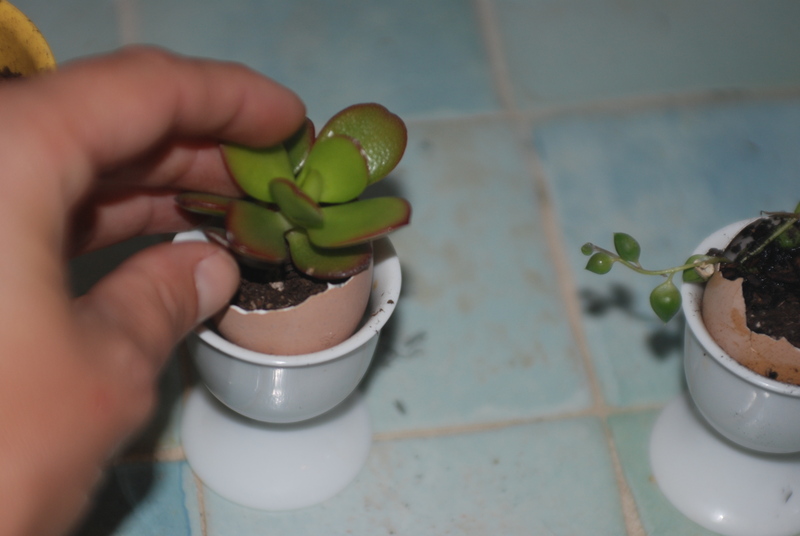 And the best part is I can simply transplant the shell and all right into the garden, if I ever wanted (the egg would just decompose and protect the plant from root shock…that’s what makes this a great technique for growing seedlings indoors, too). Yay! One way to keep enjoying the colors of my hen eggs! Next I think will be a mosaic. Thanks for tuning in and seeing what we are up to!